SarahViz.com: It's Time to End Alzheimer's! It's Time to End Alzheimer's! 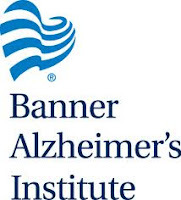 Courtesy of The Motherhood and Banner's Alzheimer's Institute, I was able to participate in a very informative and enlightening webinar last week. *That 5.4 MILLION Americans are affected by Alzheimer's? *That someone is diagnosed with Alzheimer's every 6.9 SECONDS? During the webinar, it was unbelievable how many of us have been affected by Alzheimer's. It has touched someone in your life, I'm sure. So let's help end Alzheimer's without losing another generation. The Alzheimer's Prevention Registry was created to do just that. The Registry is a community of people interested in making an impact on Alzheimer’s research to help stop the disease. It provides updates on the latest scientific advances and news, as well as information on overall brain health. And to overcome one of the greatest obstacles to clinical research, the Registry supports enrollment into a variety of Alzheimer’s prevention studies across the country. The Registry is open to anyone 18 and older. Currently, 5,000 people are enrolled, and the goal is to reach 100,000 by June 2013! By signing up, you will have access to information and resources about what's being done to fight Alzheimer's. You might also be asked to be part of a research study, which is your choice. There's no obligation. To learn more and to enroll, visit the Alzheimer's Prevention Registry now. You also can follow them on Twitter and “like” them on Facebook. Please spread the word to your friends and families as well. This post was inspired by my participation in a compensated program initiated by The Motherhood to raise awareness about the Alzheimer's Prevention Registry. All commentary and opinions are my own. Alzheimer's prevention and its elimination must be taken as active and highlighted issue to life. Treat ED I really happy to read this public awareness message. It is really a time to eliminate it. 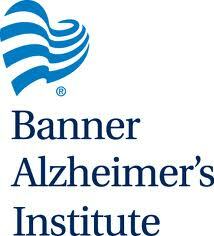 The facts I learned from the webinar were certainly sobering - I joined the Registry to help end Alz! Thanks for sharing this info! !